Surface : yellow and green paint finish. 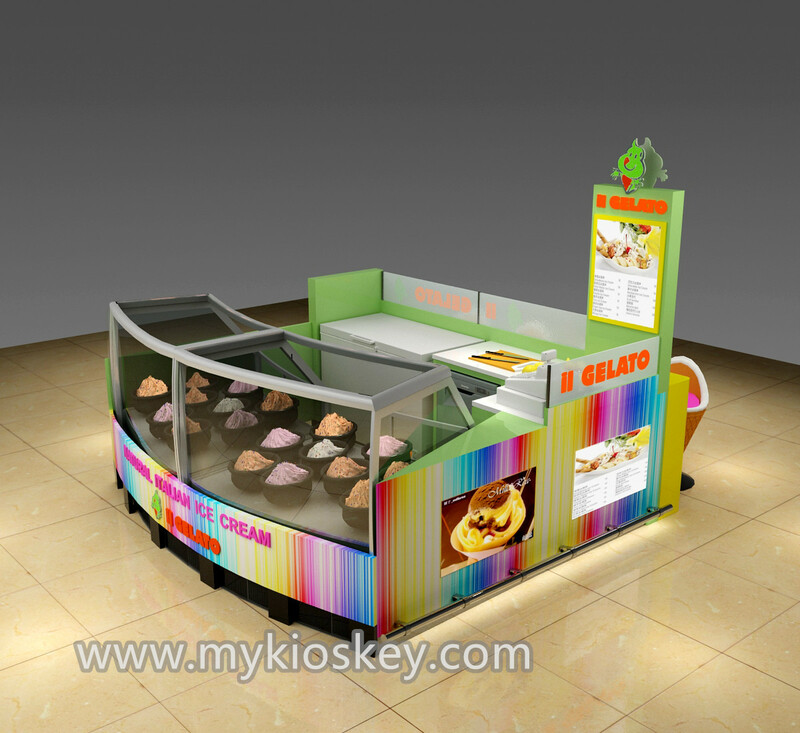 as you see this kiosk, size usually is 3m by 3m. base material is MDF, surface is paint finish, the kiosk front have to ice cream display showcase. 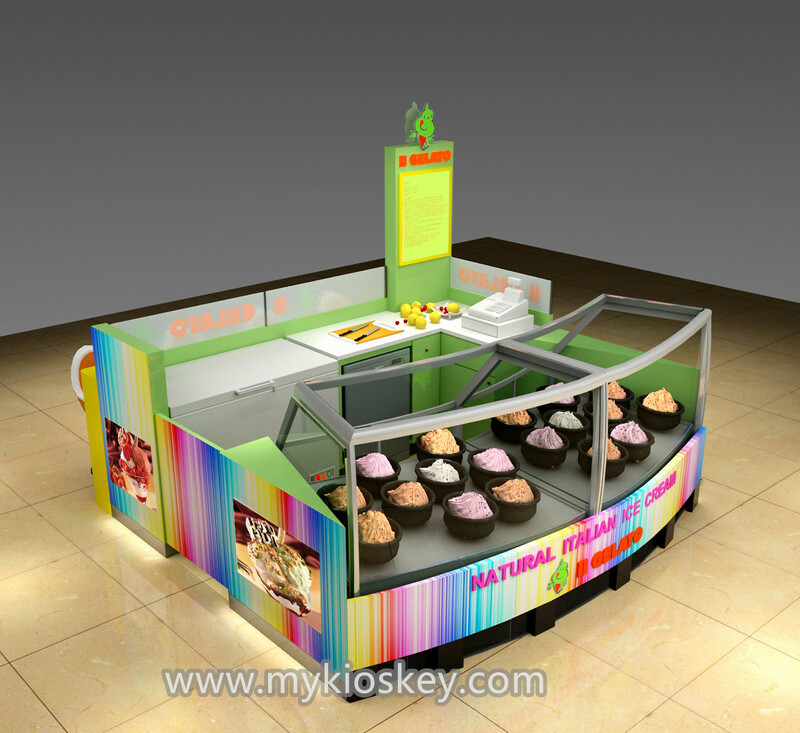 the kiosk right part have a cashier counter, the back sides have a small refrigerator, this kiosk back with a bar counter and four seats. 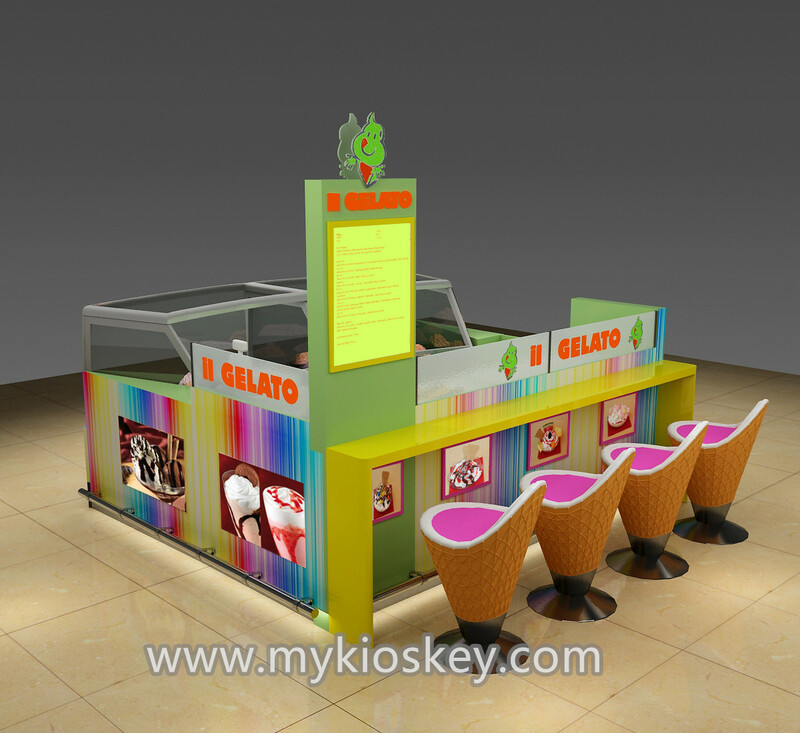 acrylic logo on the kiosk surface , stainless steel skirting with white led strip. 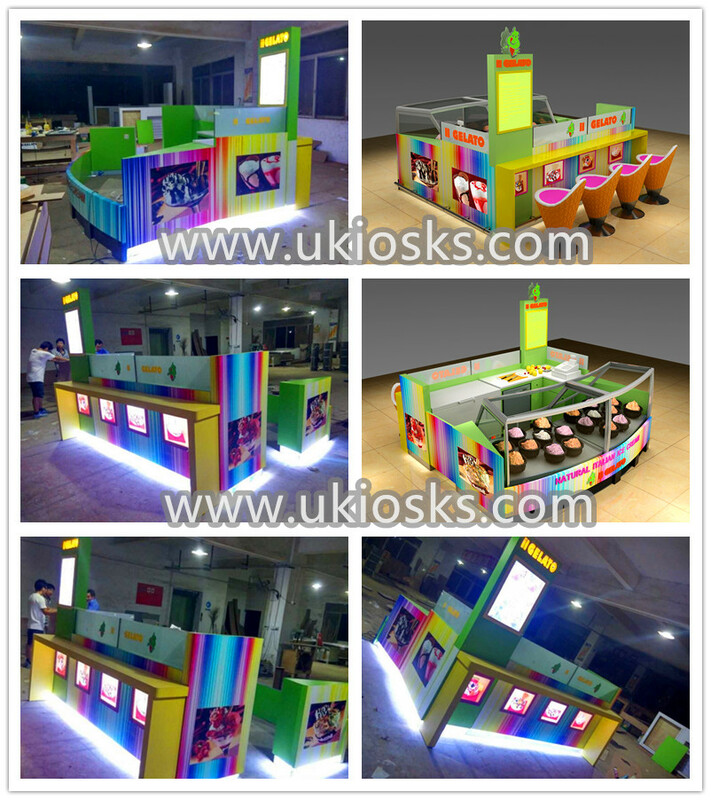 Tell us all of your requirement about this kiosk ( such as size, your like color, your Logo etc ) —— Make 3 D design for this kiosk to you——confirmed the design —— start drawing construction plan for your check ——- production it according to 3D design and construction —— Packing and shipment. Step 2 EPE Foam inner packed , all around the product. 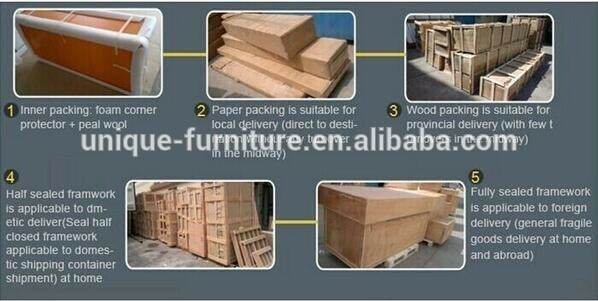 Step 7 We will order shipment insurace for all order, the insurace is free.